Print out these telling time worksheets to begin teaching your child about time, clocks, hours, and minutes. Time is a confusing concept to grasp. It doesn't help that we teach our kids about money around the same time. As a kid, I remember thinking that if a quarter was worth 25 cents, then a quarter after 3 should be 3:25. And, if a half dollar was worth 50 cents, then half-past 8 (my bedtime) should be 8:50. My parents didn't see it that way and they put me to bed at 8:30. Life is rough when you're young. With these clock worksheets, learning time doesn't have to be so hard. Lessons are presented in a progression that will take your child from telling the hour to telling half-hours and then finishing up with minutes. Click on an image below to find activity sheets. The worksheets all follow a similar pattern, but the subject matter changes. In most lessons, there will be clocks that you have to match to the correct time. 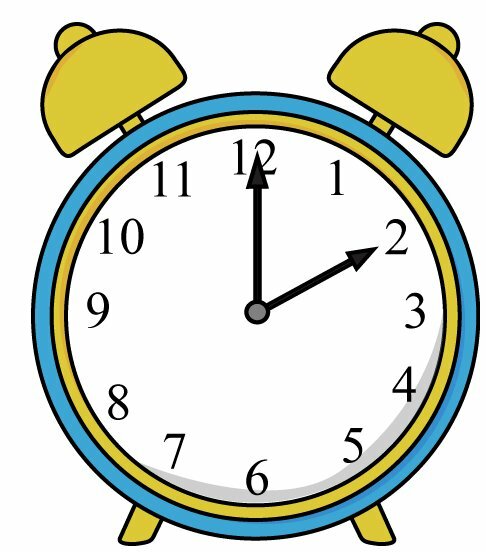 In other cases, the student will be asked to draw the correct hands on the clock face. At other times, the child will need to correctly read the time. Start with the hour worksheets and move on to half-hours and finally five-minute intervals. The Elapsed Time papers will show a particular time and ask the student to write (or draw) what the time will be later. For example, if a clock shows 3:15, it might ask the student to draw a clock showing what the time will be in 30 minutes. Students will need a strong grasp of the previous lessons before attempting this one, but it's a great review once they've finished the lessons.